Originally written in Latin in the early years of the 13th Century A.D. by the Danish historian Saxo, of whom little is known except his name. 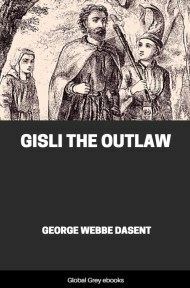 The text of this edition is based on that published as "The Nine Books of the Danish History of Saxo Grammaticus", translated by Oliver Elton (1905). 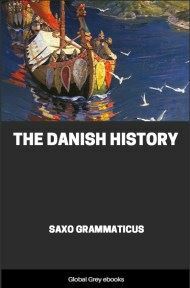 Although Saxo wrote 16 books of his "Danish History", only the first nine were ever translated. GODS AND GODDESSES.—The gods spring, according to Saxo's belief, from a race of sorcerers, some of whom rose to pre-eminence and expelled and crushed the rest, ending the "wizard-age", as the wizards had ended the monster or "giant-age". That they were identic with the classic gods he is inclined to believe, but his difficulty is that in the week-days we have Jove : Thor; Mercury : Woden; whereas it is perfectly well known that Mercury is Jove's son, and also that Woden is the father of Thor—a comic "embarras". That the persians the heathens worshipped as gods existed, and that they were men and women false and powerful, Saxo plainly believes. 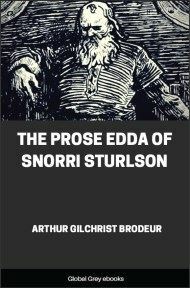 He has not Snorre's appreciation of the humorous side of the mythology. He is ironic and scornful, but without the kindly, naive fun of the Icelander. "Let us pray the Father of Hosts to be gracious to us! And Sigmund a sword to take. Ready speech to his children and wisdom to men. He giveth luck in love to many a hero." He appears under various disguises and names, but usually as a one-eyed old man, cowled and hooded; sometimes with another, bald and ragged, as before the battle Hadding won; once as "Hroptr", a huge man skilled in leechcraft, to Ragnar's son Sigfrid. Often he is a helper in battle or doomer of feymen. As "Lysir", a rover of the sea, he helps Hadding. 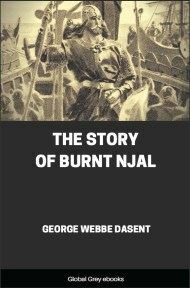 As veteran slinger and archer he helps his favourite Hadding; as charioteer, "Brune", he drives Harald to his death in battle. He teaches Hadding how to array his troops. As "Yggr" the prophet he advises the hero and the gods. As "Wecha" (Waer) the leech he woos Wrinda. He invented the wedge array. He can grant charmed lives to his favourites against steel. He prophesies their victories and death. He snatches up one of his disciples, sets him on his magic horse that rides over seas in the air, as in Skida-runa the god takes the beggar over the North Sea. His image (like that of Frey in the Swedish story of Ogmund dytt and Gunnar helming, "Flatey book", i, 335) could speak by magic power. Of his life and career Saxo gives several episodes. Woden himself dwelt at Upsala and Byzantium (Asgard); and the northern kings sent him a golden image ring-bedecked, which he made to speak oracles. His wife Frigga stole the bracelets and played him false with a servant, who advised her to destroy and rob the image. 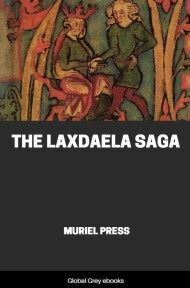 When Woden was away (hiding the disgrace brought on him by Frigga his wife), an imposter, Mid Odin, possibly Loke in disguise, usurped his place at Upsala, instituted special drink-offerings, fled to Finland on Woden's return, and was slain by the Fins and laid in barrow. But the barrow smote all that approached it with death, till the body was unearthed, beheaded, and impaled, a well-known process for stopping the haunting of an obnoxious or dangerous ghost. Woden had a son Balder, rival of Hother for the love of Nanna, daughter of King Gewar. Woden and Thor his son fought for him against Hother, but in vain, for Hother won the laity and put Balder to shameful flight; however, Balder, half-frenzied by his dreams of Nanna, in turn drove him into exile (winning the lady); finally Hother, befriended hy luck and the Wood Maidens, to whom he owed his early successes and his magic coat, belt, and girdle (there is obvious confusion here in the text), at last met Balder and stabbed him in the side. Of this wound Balder died in three days, as was foretold by the awful dream in which Proserpina (Hela) appeared to him. 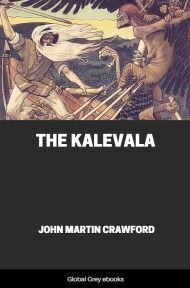 Balder's grand burial, his barrow, and the magic flood which burst from it when one Harald tried to break into it, and terrified the robbers, are described. The death of Balder led Woden to seek revenge. Hrossthiof the wizard, whom he consulted, told him he must beget a son by "Wrinda" (Rinda, daughter of the King of the Ruthenians), who should avenge his half-brother. Woden's wooing is the best part of this story, half spoilt, however, by euhemeristic tone and lack of epic dignity. He woos as a victorious warrior, and receives a cuff; as a generous goldsmith, and gets a buffet; as a handsome soldier, earning a heavy knock-down blow; but in the garb of a women as Wecha (Wakr), skilled in leechcraft, he won his way by trickery; and ("Wale") "Bous" was born, who, after some years, slew Hother in battle, and died himself of his wounds. Bous' barrow in Bohusland, Balder's haven, Balder's well, are named as local attestations of the legend, which is in a late form, as it seems. 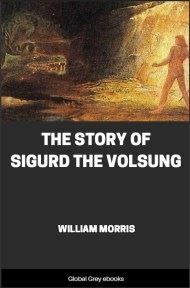 The story of Woden's being banished for misbehaviour, and especially for sorcery and for having worn woman's attire to trick Wrinda, his replacement by "Wuldor" ("Oller"), a high priest who assumed Woden's name and flourished for ten years, but was ultimately expelled by the returning Woden, and killed by the Danes in Sweden, is in the same style. But Wuldor's bone vessel is an old bit of genuine tradition mangled. It would cross the sea as well as a ship could, by virtue of certain spells marked on it.